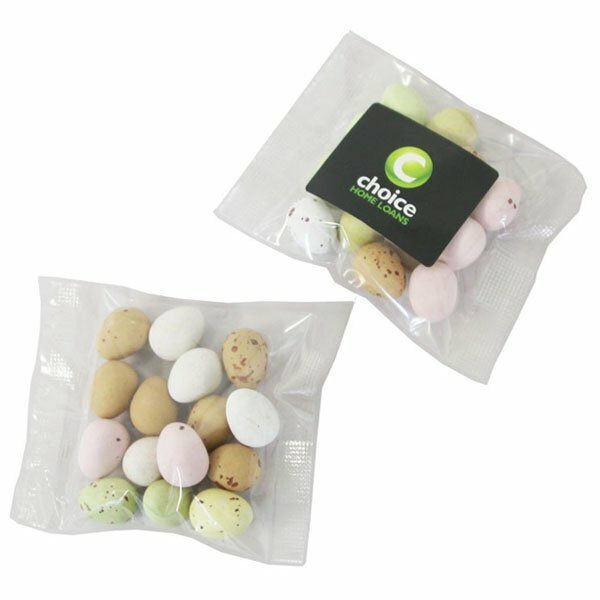 Promotional Candy Chocolate Eggs 50 gram bag. Order now. Are you looking for something different for your Easter promotion this year? The Candy Chocolate Eggs 50 gram bag is perfect. Are you looking for something different for your Easter promotion this year? The Candy Chocolate Eggs 50 gram bag is perfect. These Easter Eggs have a crispy candy shell with a milk chocolate centre that your customers will love. Each clear cello bag contains approximately 15 x candy chocolate eggs which weighs 50 grams. 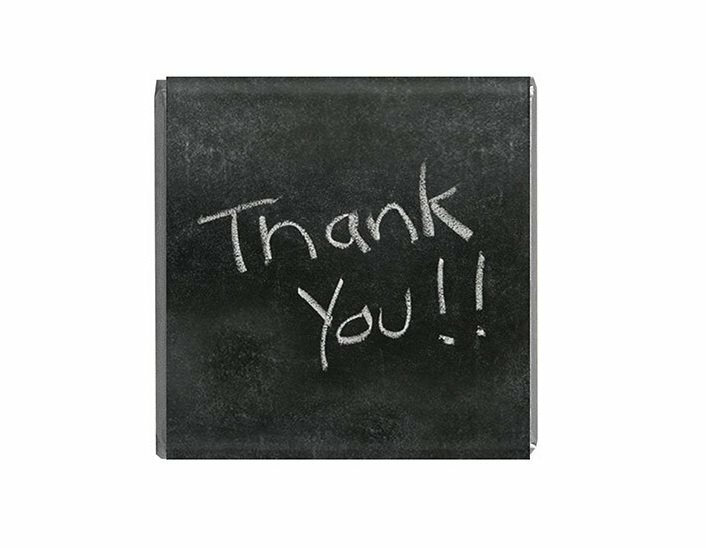 Send us your logo and we can digitally print it on a sticker which will be placed on the outside of each bag. 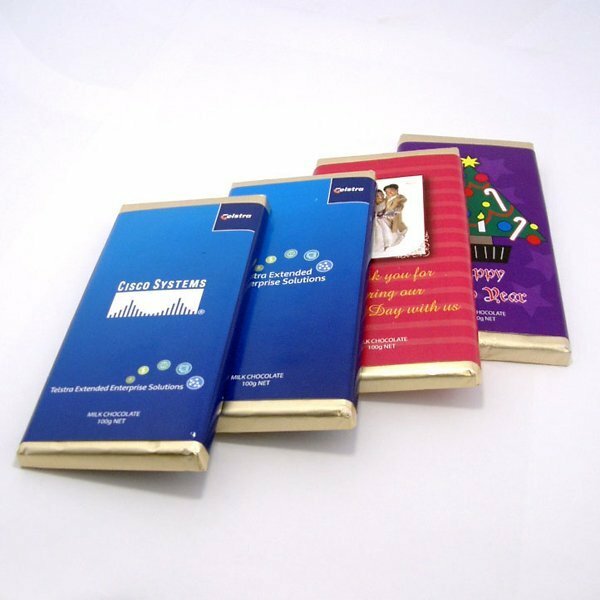 They will look great when you hand them out to your customers or include them with a delivery this Easter. If you are searching for a smaller product take a look at the Candy Chocolate Eggs 25 gram bag. Either way they are both excellent products. You still have questions? Call our Customer Care Team and they will be happy to answer any questions you may have.